It's a known fact that I'm an absolute sucker for an eyeshadow palette, I swear they see me coming a mile off. 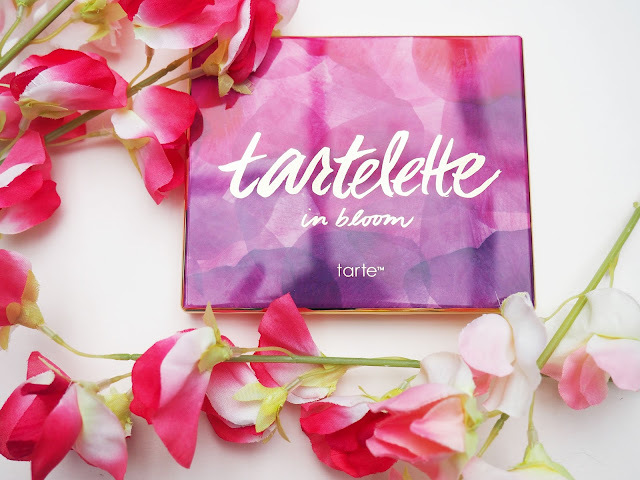 Two in particular had been on my make up radar for a while- the Tarte Tartlette and Tartlette In Bloom palettes. You know the situation, you see them all over Instagram and know they just have to become part of your collection. 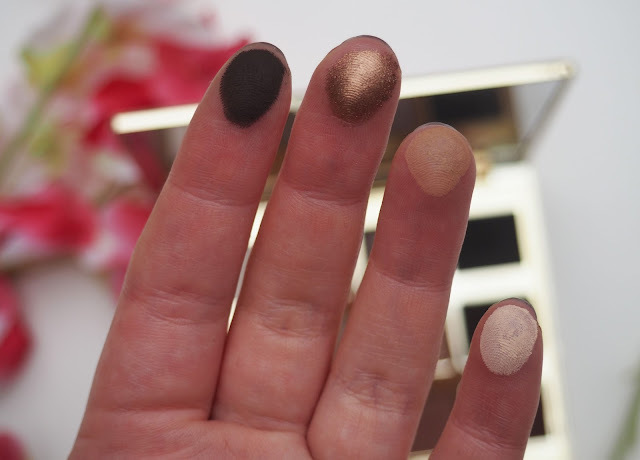 I'd never really seen either palette in the flesh before and as I hadn't tested out Tarte eyeshadows I told myself 'Jasmine pick your favourite out of the two and only get that one!'. I had a sneaky suspicion the In Bloom version would be my favourite and I was completely right, don't get me wrong, the original looks nice but in my opinion the In Bloom one has the 'wow' factor. The palette has 12 shadows ranging from light colours on the left side to dark shades on the right. They're set out in lines of 4 colours, a base shade, some crease colours and then a liner shade so if you struggle grouping colours together thats really handy. Having said that all the colours can be mixed and matched to create different looks. Nine of the shades are mattes which are not patchy at all, hallelujah! And the shimmers? Truly amazing. The shade 'Firecracker', in particular, is such a standout. 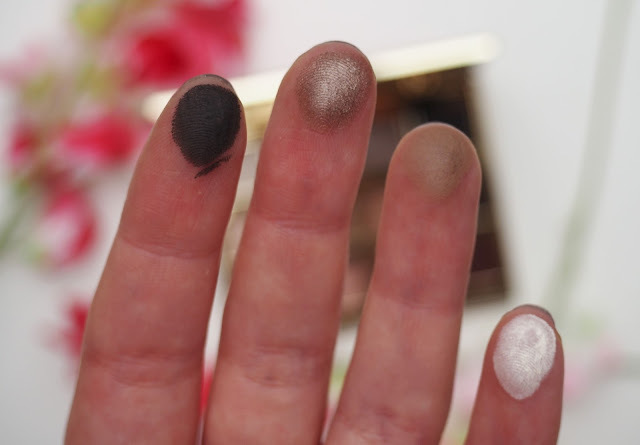 'Flower child' is a great colour for all over the lid to smooth out any discolouration and then I've been using 'jetsetter' and 'smarty pants' loads in the crease. I absolutely love 'rebel' and 'leader' they go so well together and they're a nice alternative to the usual neutral colours I use as they're more pink/ red toned. Its pretty hard to not fall in love with the packaging of this product alone. The design on the front paired with the gold casing is soooo pretty that this will look perfect on your dressing table. It's also compact, light and includes a big mirror which gets a massive thumbs up from me as its perfect for travelling. 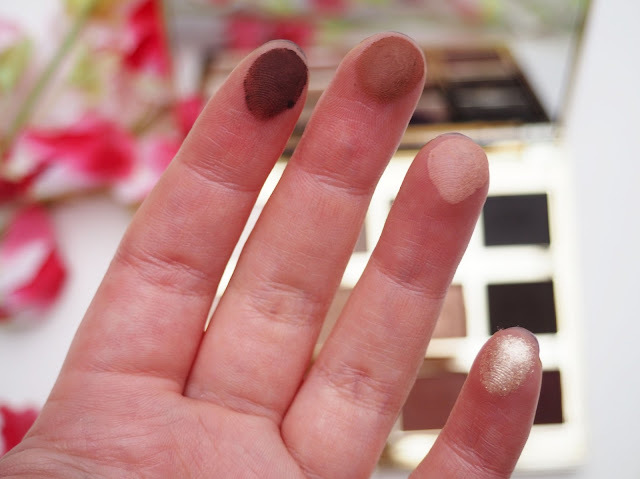 I'm sure I have said before that I get very annoyed when a palette doesn't come with a good mirror! Pet peeve. I find that these shadows apply pretty well, some of the darker mattes do take a little more work to completely blend in but the finished result makes it worth it. I was convinced the shimmers would have loads of fall out but they really don't, maybe a few specks here and there. My eyelids are quite oily so they're always a good test for the longevity of shadows and I'm impressed, at the end of a working day there is a tiny, weeny bit of creasing that you can only really notice if you're looking for it. Overall this palette is a winner and I'm SO pleased I got it. I've used it so much since I got it that a lot of the cute 'Tarte' embossed writing is wearing off *sad face* which shows how much I like it. 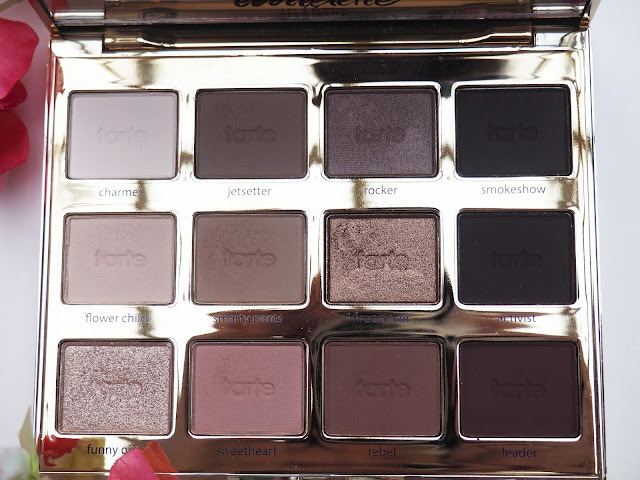 If you've pondering over this palette I would say go for it, its well worth it.